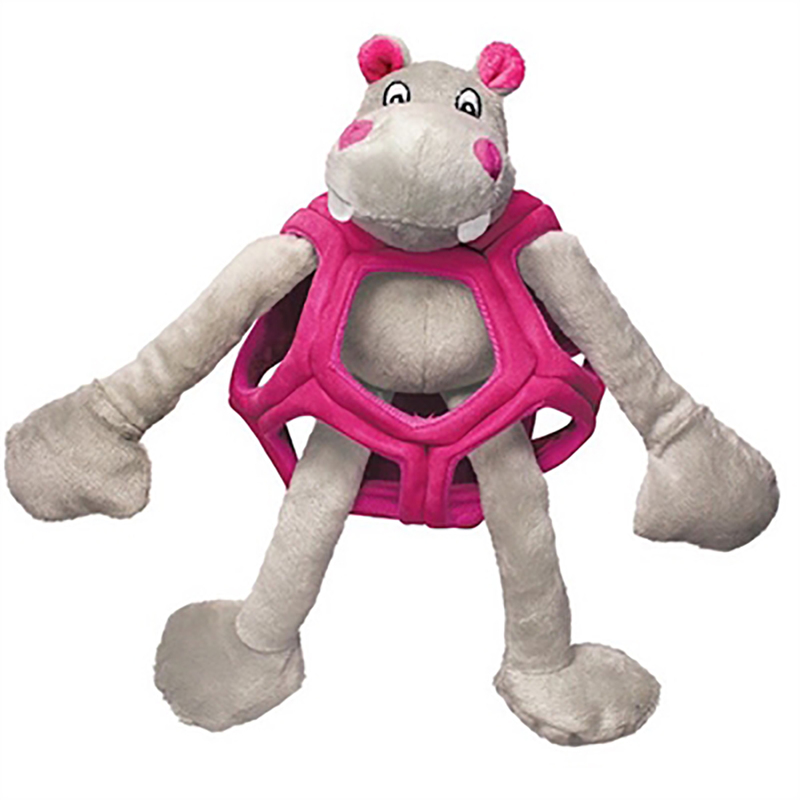 Dog's will love trying to get this 2 piece puzzle toy apart to play with the crinkle and squeaking KONG Puzzlements Dog Toy Hippo! The KONG Puzzlements Dog Toy is great for the pup that likes to play solo or with you! This plush character is hiding out inside a crinkle mystery on for to get to the squeak. For light to moderate chewers that like being clever.